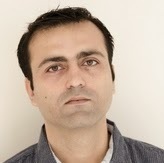 Nitin is a passionate Product Leader and Lean/ Agile evangelist. Nitin currently leads a team of highly passionate Product Managers at ADP, who together manage more than a bn $ portfolio of compliance solution offerings at ADP, a fortune 500 organization providing HCM solutions. In his previous role, Nitin was managing a bunch of products at Tesco, one of the top retailers based out of UK. He has also helped build and scale Commonfloor, a leading real-estate portal in India. Nitin has presented at various conferences and local agile meetups and has been a part of Agile India conference organizing team since 2012. He also co-founded Limited WIP Society - India Chapter and striving to increase the awareness of Lean/ Kanban methods in India. An avid learner, reader, occasional blogger, his area of interests are Agile Product Management, UI/ UX design, Lean/ Kanban, productivity apps and chasing new ideas/ innovation/ gadgets. Lean Roots to Grow, Wings to fly! A lot has been said about Kanban and how these can be implemented in Software development, but the learning remains superficial till we go deep down to its roots to understand the core underlying practices and principles and why/how these practices evolved over a period of time. Infact the roots of most of the Agile methods can be traced back to Lean/Toyota Production Systems, a set of practices and techniques used by Toyota to build great set of cars with limited amount of resources. Even though building software is much different than building a car, there are many lessons and practices that can be learnt and applied nonetheless. In this interactive and visual talk, we'll take a virtual trip to Japan and learn some of the best practices/concepts that originated at Toyota for building "world-class" cars and see how each of these can be applied to software development. Learning about the roots of Lean should help the attendees in sowing the seeds of Lean improvement in their organizations and would help in building better software and improving the efficiency of the software delivery lifecycle.